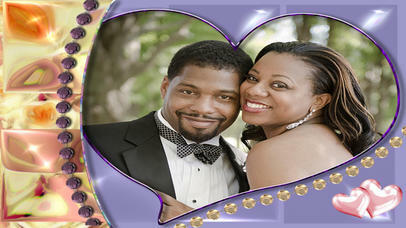 With Sweet Love Photo Frames, you can add a beautiful frames for pictures of your couple, and easily share with friends. Specially designed for lovers, you can choose the frame that best suits your honeymoon, birth, valentines day, or ceremony. - HD Christmas frames with vivid colors. oto effects: retro, sepia, black and white, cartoon, pop art, blurred, etc. Show everyone how posh you are by posting your fotos to Facebook, Twitter, and Instagram. When you apply numerous "pic effects" that we have provided for you in this cool photo editing software without internet, you will look like a real celebrity! This great photo manipulation tool contains most beautiful picture templates that will surely increase your popularity on all social networks. Be funky and start experimenting with this cute girl selfie editor and start the photomania now!